You love your car more than any other expensive asset owned by you and therefore do not leave any stone unturned when it comes towards its maintenance and getting it regularly serviced from time to time and also replacing the defective parts quickly as and when told by your mechanic. But, as you are not a car expert and do not understand much about car mechanism you cannot understand the warning signs revealed by your beloved car. This ignorance sometimes may put you in huge trouble and can even turn it in the ball of fire. Well do you know what signs are being displayed by instrument cluster of your car? If some asks this questions from you I am sure lots of people will reply displaying the headlight position whether they are on high beam or low beam, level of coolant, kilometers, switching on/off of the engine. But do you know if any of these lights stays “on” then it is an indication that there is something wrong with that specific component of the car. One such light is yellow colored engine shaped light, which lightens when the ignition of your car is switched on, but if the light of this icon continues for long time then it is an indication that something is going wrong with your car and ignoring this ‘check engine’ light might result in huge damage to your car. Issue with catalytic converter: Installed in the exhaust system the main objective of catalytic converter is to converting carbon monoxide into carbon dioxide during the process of combustion. Any problem in the converter might result in non filter of air and finally damaging the engine. 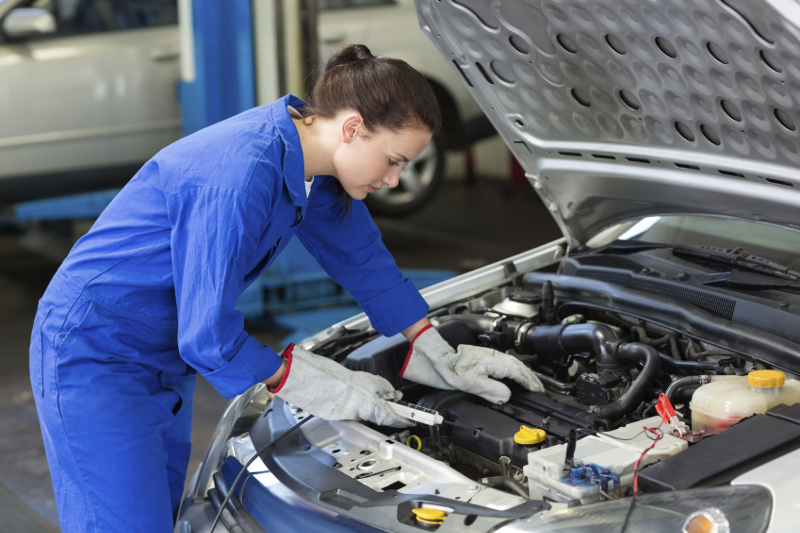 Getting the car serviced regularly and changing of oil accordingly ensures smooth working of the converter. If you do not get much time to drive your car, then it would be better to go for long drive so that there is no blockage in the catalytic converter. Cheap accessories: Installing the aftermarket accessories like alarm, music system, light etc from an unauthorized dealer may also affect the battery of your car and might result in short circuit. If you notice the yellow engine light remaining on for long time it is advised to get it checked at the earliest without wasting much of your time. Damaged spark plugs: The damaged spark plugs might result in poor performance by your car in terms of mileage and power generation efficiency. The function of wire connected with the socket of spark plug is to transit the energy generated from coil to the spark plug. The ignition system of your car mainly depends on these wires, and poor wires and damage the ignition system of your vehicle. Failure of O2 sensor: The O2 sensor or the oxygen sensor measures the ratio of unburnt oxygen in the exhaust system. The failure of this sensor will although do not stop your car from driving but will adversely effects its performance and also damage the components like catalytic converter, spark plugs and might do not clear the emission test conducted on your vehicle. So, now next time if you notice the engine alert light switched on your car do not waste the time and get it rectified by an expert mechanic.